In the first segment of the episode, I lay out an elaborate set of rules. In the second segment, I say the word. In the third, the show ends. You win by commenting below with the word, the time the word is said, and really, that’s it. 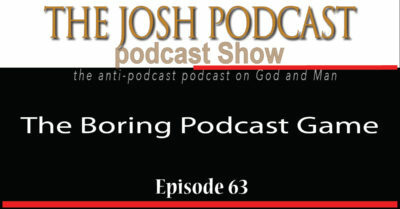 It’s THE BORING PODCAST GAME!! !